It's been two months since my last thrift store visit. Therefore, I went on kind of a bender with a pretty expensive $89 thrift haul! My last Goodwill trip was months before that. There are closer and cheaper stores near me. Venturing out to a far away location while V was in school turned out to be very fruitful though. 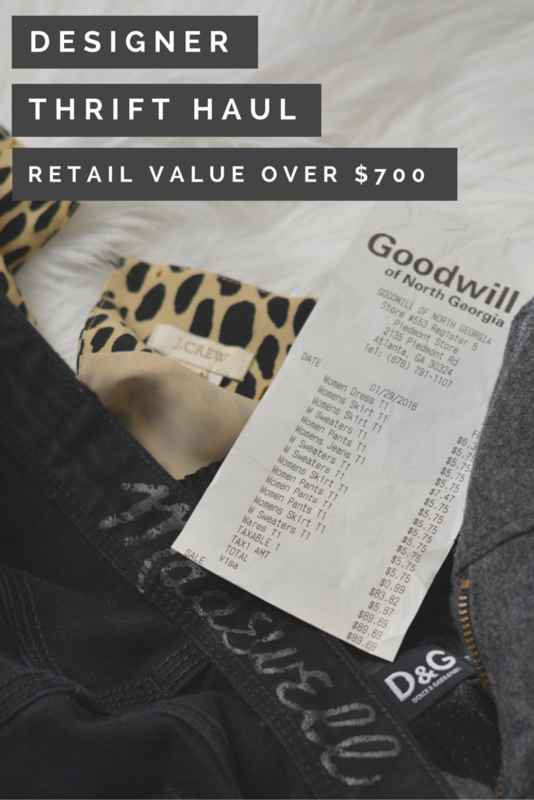 I had a lot of designer finds and my total retail value is over $700! 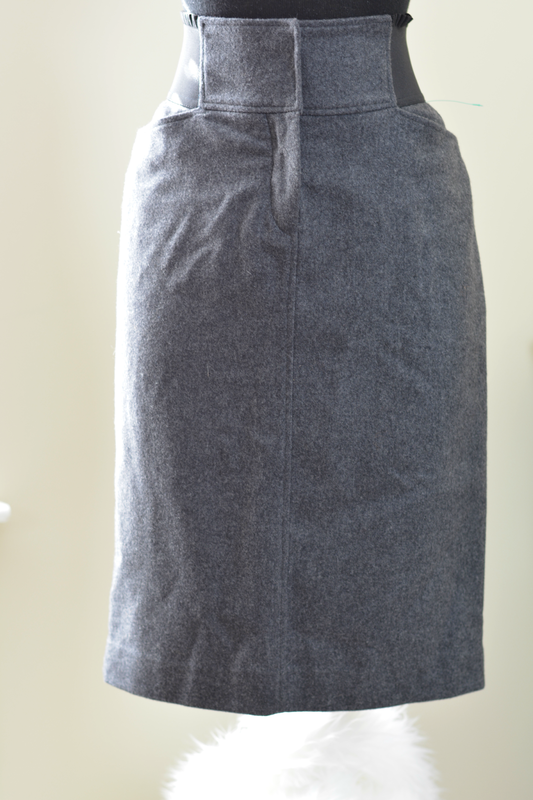 My favorite item out of the bunch is a D&G wool skirt. It doesn't fit. I can get it on but I cannot walk. 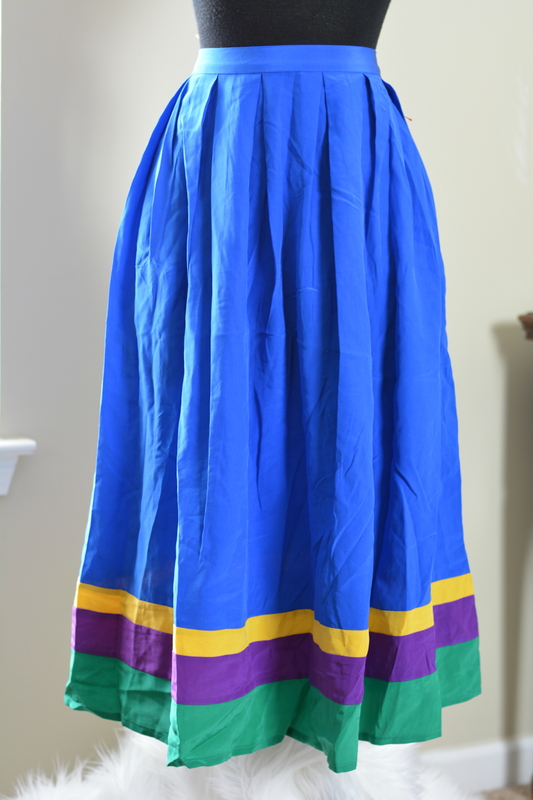 I have weight loss goals this year that will have me in this skirt next winter. Pinky swear. My second favorite would have to be the skinny leg trinity. I bought knee high boots and went in search of skinny jeans to wear with them. I found Madewell black, Loft grey, and Gap indigo jeans that fit and are in good shape. After I left, I discovered the cashier undercharged me on two pairs. Thrift Gods were surely with me. 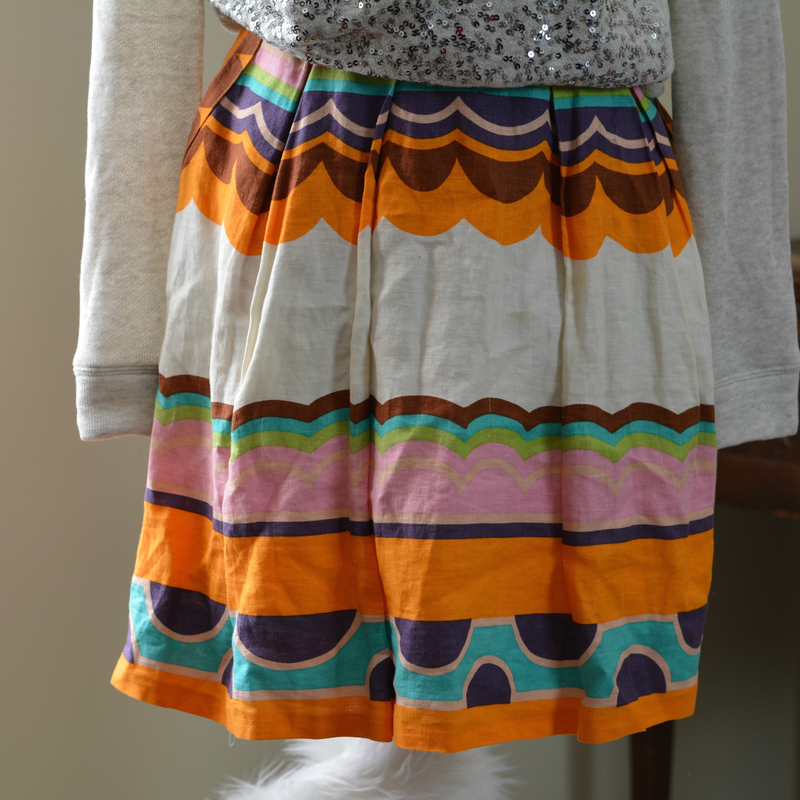 The skirts I found all had unique prints. 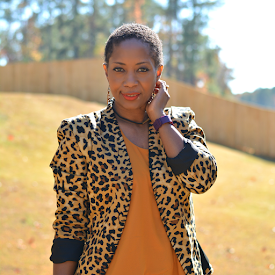 The vintage silk one would be great with a black top that I also want to add to my closet. The Zara skirt has that full circle shape that I'm drawn too. 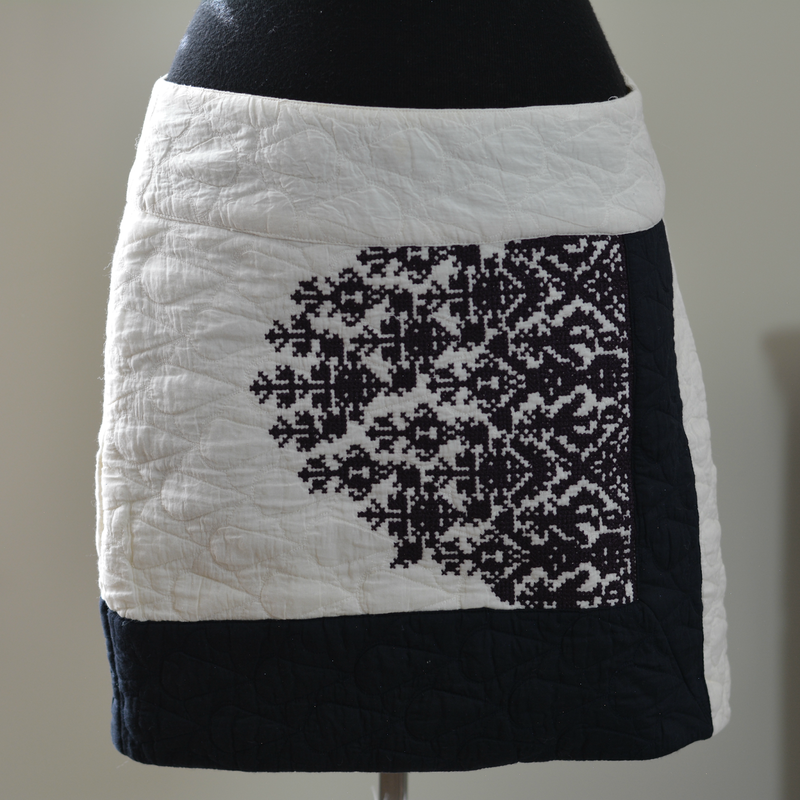 The mini skirt is Floreat, an Anthropologie brand and has a beautiful quilted pattern. 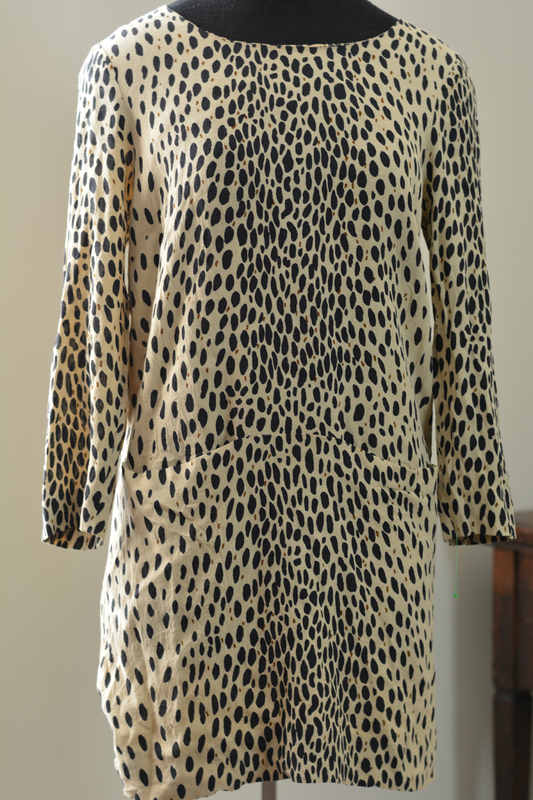 I haven't bought animal print in a long time. It's one of my closet staples and was excited when this J. 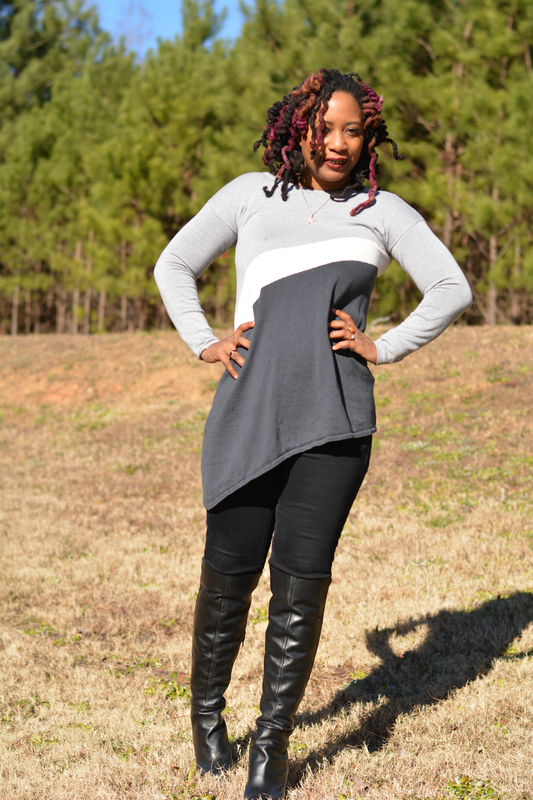 Crew tunic dress fit me perfectly. My other J. Crew find was a sequin sweatshirt. 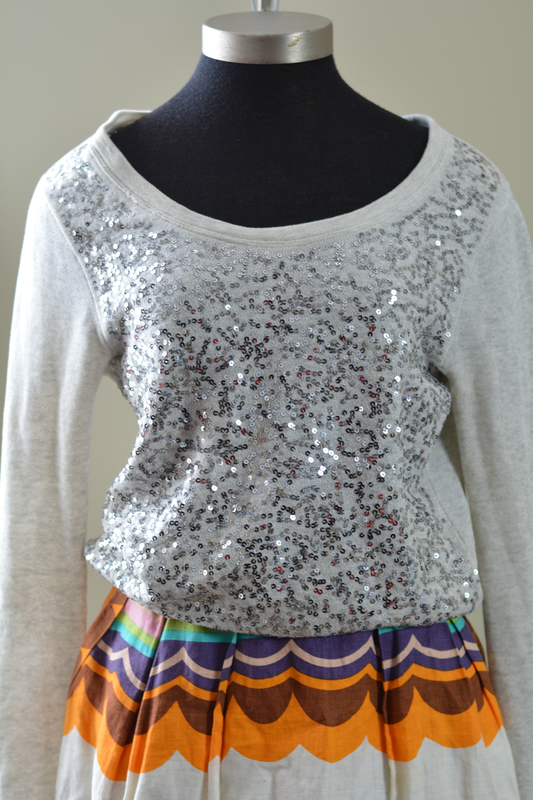 We all know how I feel about sequins. 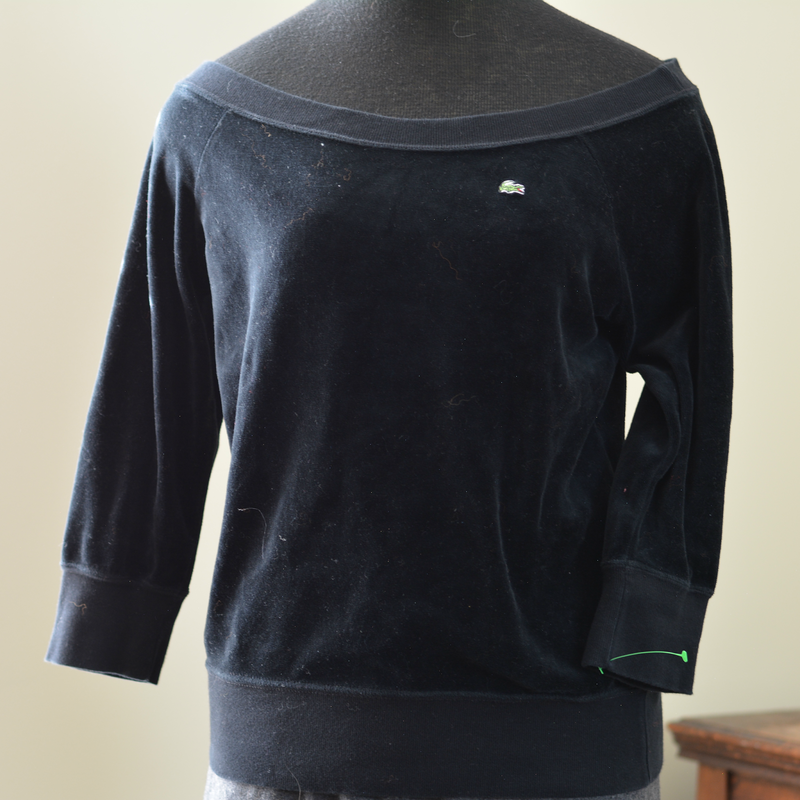 The lacoste velour sweatshirt and the Athleta sweater will help me do my morning fitness and not look like a hot mess dropping V off at school. Win win for everyone. 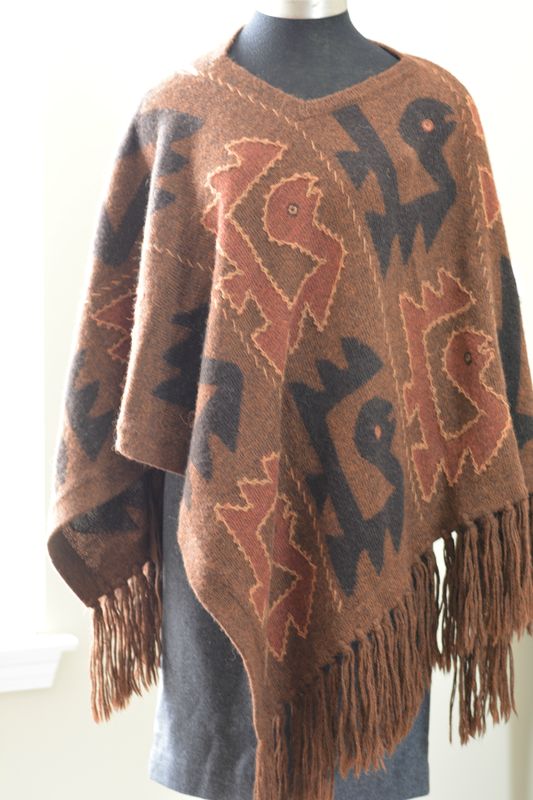 Three cheers for the poncho because I have never owned anything made of Alpaca wool. It's soft, thick and non scratchy. 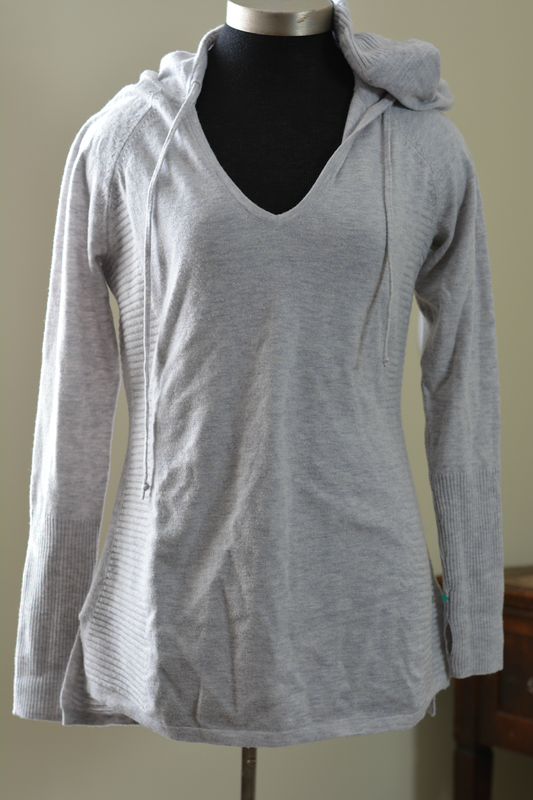 I was able to see myself weekend brunching in it with skinnies, white shirt, and wedge boots. 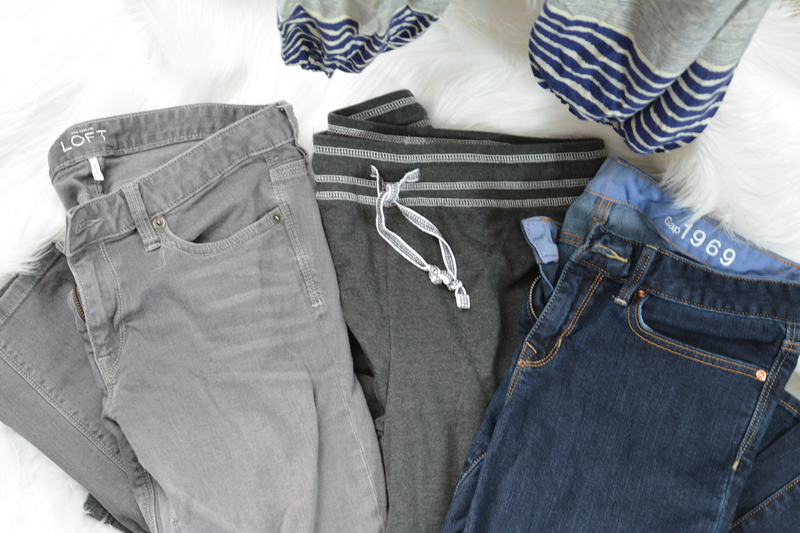 Last but not least are a pair of super comfy joggers and standard issue athletic pants (pictured with jeans). 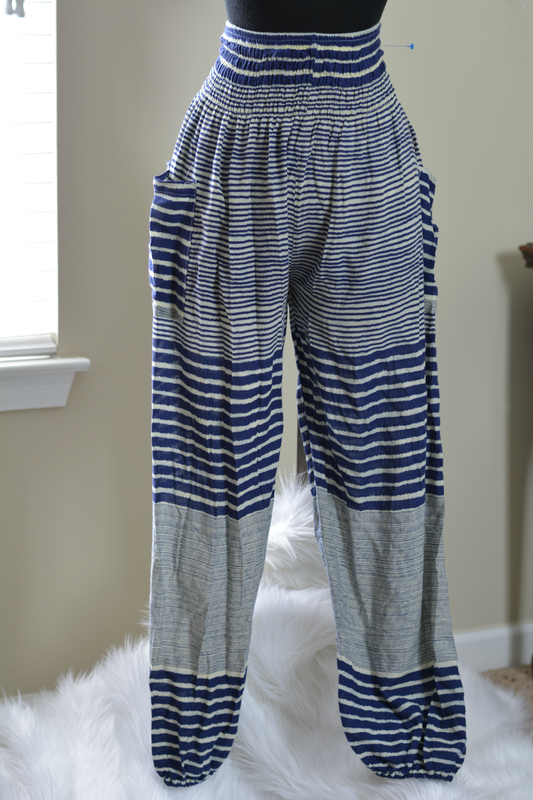 The high waist on the joggers are super flattering and I need more pants to walk in. If you haven't already guessed, I'm serious about my fitness goals this year. Less than a month in and my clothes are already fitting better.